It'd be really helpful to be able to submit lists of email addresses to receive reports created by someone on their team without actually having to have that person go and accept them. I can't expect someone that simply needs to look at the report and act on it to necessarily go and subscribe for each new relevant report that's created. This is really important for my current situation. Managers and others do not want to log in to Power BI. They just want an email of a report sent to them without having to subscribe to it themselves. Please set the priority high for this. It would be great to be able to also "manage" those subscriptions so I could turn them off for people when they don't want the reports anymore. Would love to have this feature added as well. Having the ability to send out snapshots (gifs being linked back to PBI) of the most recent dashboard rendered to the members of an Office365 group in a format that can be defined either by user or Dashboard creator, is critical for Enterprise Adoption of PBI. Basically being able to use email AD group and/or users to the subscription. Currently we are using SSRS as PBI doesn't support this. This is very important feature to use Power BI... because many users don't open powerbi service to see the report, they want to receive the report (pdf or excel) in their inbox. Please it will be hard to get my organisation on board with PowerBI if this feature is not released because report subscriptions is the core of our current process and not having this defeats the whole PowerBI Idea. Thanks a lot for looking into this. Would be great to have this for external clients, but also internal users. Ideally enabling subscription at the group level. What's the timing on this release? Yes, it would great to have a list of recipients in this option, hence we could send the reports to clients, or users that don't have power bi account yet. Please allow users to enter multiple email addresses in this new dialog.--- good..
Hi, the email only sent for owner but not for share member... can you fixed it? Better to concentrate on getting the standard email subscription working first, no? 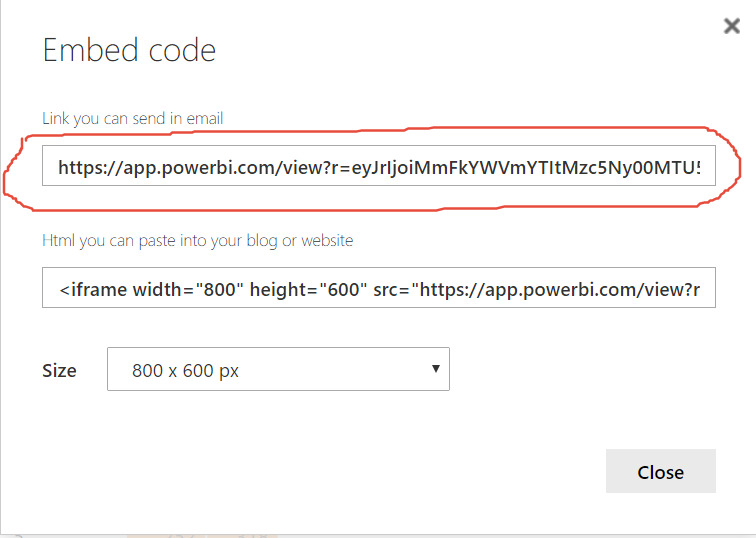 Another thing would be cool is if a person does not have PowerBI account (and doesn't want to have one), why not allow to send him the "published report" aka "publish to web" URL? Great idea! Hope it will be implemented soon. It will really help to convince more people to use Power BI. This is important. I cannot tell all managers in the company to go and subscribe to the email subscription themselves. At least the admin or report owner should have the access to subscribe for others.